Without a knowledge of the Sanctuary Message it is not possible to understand some nuances that are built into texts in both the Old and New Testaments. When Christ died as the Lamb of God it was such a paradigm shifting event in the universe. It was the end of any thought of wonder about the Rebellion in Heaven and its immediate outcome. All the unfallen worlds, did not need any longer evidence of God’s Love. Giving Himself to die and that in a human form with the intention to save them, was all they needed. From now on, all heavenly creatures were of the same accord. Satan’s mask was completely removed and they could see him in all his evil. His law of death stood in contrast with the law of life of Christ Who decided to not only save His own reputation but that of the fallen human race. But He chose to die and included an accessory, a human body from fallen humanity. In this way He can save them. Of course He chose in the Trinity to die, by Himself but this is not a suicide planned by God. It was still Satan the father of death who killed Him. But, that was Satan’s error also, that he was willing to kill anyone in front of him, even the Son of God. Before 3 pm that Friday in 31 A.D. when Christ died, Satan and his demons could still argue that death came because God withdrew Himself from this earth where they were thrown out of Heaven to after the Rebellion in Heaven. But not when Satan himself enacted the very deed visible by the whole Universe on their news network that displayed the forces of Satan ransacking and killed God Himself. This was so desecrated that anyone who watched this in the abodes of heaven shrunk back from any association with Satan or even thoughts about that. The most beautiful creature in the Universe went too far. No longer could he lie or deceive. God chose this method of dying as a human precisely because after 4000 years of killing and murdering people the vulnerability of God Himself was at stake in the weak baby-God in diapers. Maybe the unfallen worlds did expect that if God came as a baby, that Satan and his angels would convert and this conversion would lead to the glory of God in the highest heaven and peace on earth among all, humans and non-humans? We do not know. For four thousand years Satan studied the Messianic utterances in the Books of the Old Testament minutely and carefully, knowing better than anyone on earth his scriptures and theology. He saw the predictions of God and when the 70 weeks prophecy of Daniel 9 verse 24 and further was given by Daniel in the mid-sixth century BCE, Satan could calculate exactly when the Messiah would come since He would be baptized in the 69th week when He was publicly prepared to be presentable, namely at the age of 30 and since the date of the calculation 457 BCE was clear to Satan to calculate the 490 years from, using the year-day principle, he knew that Christ would be born around 4 BCE. Satan was not the only one who knew this, faithful students of the Old Testament prophets in the form of the wise men from the East, also knew the interpretation of this prophecy. Thomas Aquinas knew about this prophecy too and he was catholic. George Joy knew about it. The list is longer than this. It is common among modern Adventism to reveal this chronological chart of the seventy weeks in this way too. And that is correct. By dying on the cross, God could restore the fallen mekun / place of His truth in Daniel 8:11. The Investigative Judgment was the place to restore this as is indicated in the book of Joel. The nekun of Joel. It is the equilibrium that was destroyed by the Rebellion in Heaven by Satan and his angels. That equilibrium was restored by Christ dying on the cross. It was the start of this work of restoration. Atonement for the human race was part of this program of restoration. It was to take the impossible and make it possible. The lost and saved them. The wayward and bringing them back unto Himself. For this the Trinity as a team were involved. The Holy Spirit was the indwelling person of the Godhead that assisted and helped any weak and fragile will that wants to be on God’s side to arrive there. Luther and many since him are holding that if the sinner accepts Christ as ransom for sins, the sinner becomes saint and his sinner-saint at the same time. To begin with. Since many habits that built-up through years will have to be sharpened out and dropped. Some fast, some not so fast. This struggle in Sanctification also goes hand in hand with the same Holy Spirit. An understanding force within released by Him to assist when asked for and to step aside if not but to wait close-by just in case to return without blame but with joy. But the target or goal of this sanctification process is not to remain simul iustus et peccator, same time saint and sinner. One cannot say as some did, that only at the Second Coming will perfection be attained since one remains both sinner/saint until then due to the original sin that remains in all of us. Original sin? All are sinner and come short of the glory of God. The father cannot be held accountable for the sins of the son and the son of the Father [even father Adam] as Ezechiel 18 told us. Thus, the sin that we got here is by ourselves. But babies and young children are rebellious against their parents from young. Yes, but they are not responsible human beings yet, since the parents are shaping them still with rod and words of discipline. When they come of age, that is when they are responsible enough to become sinner. Not until then. The original sin text in Romans 3 does not read original sin and the whole translation for example in the Latin Vulgate is made on the basis of a wrong reading of the Greek. Certain words in the Latin are not in the Greek of Paul. But in sin did my mother conceive me text by David in Psalm 51? No, in the environment of sin in which my mother lived did my mother conceived me. Mother/father cannot pass on their sins’ responsibility to the son or daughter, see Ezechiel 18 principle. The Bible is not contradicting itself. Follow a holistic interpretation. Do they pass on weak genes to their children? Yes. Is homosexuality one of these original sins or weak genes that is passed on to their children? The answer is no. Prone to is a possibility but contradicting against is also a possibility by the same person. Plus of course the help of the Holy Spirit enabling total freedom from any sins in that direction if the person so wishes. So where does the born with homosexual genes come from? From atheist and nihilist psychologists like Carl Jung, et al. They are not believers at all and think that all religion is man-made and self-constructs. They belong to the same class as Karl Marx and Friedrich Engels who studied theology under a famous Theologian way back in the Victorian age but who defected from it and became nihilists. The same with Charles Darwin who lost his daughter ten years old to an incurable disease and while lying in a Sanitorium dying, he sat at her bedside every hour making notes. Bored he started to read the literature of the sanitorium who happened to belong to the president of the Spiritism society. When his daughter died he blamed God for it and decided to come out with his Origin of Species book to knive God the creator and lover of humans with a denial that He exists. Thus the conclusion after an extensive investigation by an emeritus professor from Canada in 2016 of which his article is online. And the whole world runs after Darwin without realizing this. It was in the age of Rationalism fanned out by Thomas Payne in his book The Age of Reason. He set out to systematically deny God in this book. Where did he end? Alcoholic on the streets in the USA. Tragic. Hebrews 9:8 states plainly that the Holy Spirit revealed to Paul that the way into the Most Holy was not yet ready in 58 A.D. when Paul wrote this book, although Jesus according to the same Book, already entered into the Holies or first division between the two curtains, veil one and veil two already after His ascension according to Hebrews 9:28. Why not the Most Holy? For it is was not yet the end of the 2300 years of Daniel 8:14. That would be calculated the same date from 457 BCE of which the 70 weeks were calculated from. But Thomas Aquinas missed this second long period determination until 1844. William Miller et al knew. The First Day Adventists soon realized that Jesus did not come in 1844 since His movement was not vertical but horizontal within the heavenly temple from the holies to the most holy. This is what Paul had in mind also in Colosians 2:17 with the shadow of things to come. Things to come? The Crucifixion was in 31 A.D. , the entering into the Holies between the two veils was directly afterwards for atonement purposes as the New Testament authors pointed out, so what else could be a shadow of things to come if it is not the heavenly Yom Kippur since 1844 to “cleanse the sanctuary/ the justify the sanctuary” whichever semantics one choose to use here. It is a judgment scene in that once in a year event of Leviticus 16 in Moses day but it is also in heaven the start of the Investigative Judgment. 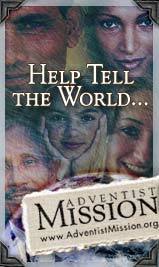 Seventh Day Adventists very soon in 1844 also realized the same and said so in a note in 1847 citing the view of the First Day Adventists. Of course, they themselves were first day Adventists before they turned into seventh day Adventists. Heavenly sanctuary? Of course, Moses was shown a pattern by God to simulate. That pattern was not left on Mount Sinai. It was a vision into what is in heaven. The true sanctuary is in heaven as Hebrews 8:2 explicitly indicates. So when is atonement. At the cross or after the cross? It was after the killing of the lamb when the priest took the blood into the holies or cleansing when the Highpriest took it into the Most Holy. So when is Atonement at the cross/altar or in heaven when Christ mediate? Lastly. Many Reformers made this mistake. The cross is the altar and death of Christ. His blood is taken into the Holies to intercede for us. This is all biblical and Pauline and Petrine. The disciples knew this. John in Revelation knew it. Atonement is a daily process in the Old Testament and the same in the New Testament. But what about the once and for all statements, nearly 8 of them in the Book of Hebrews? Once and for all dying. Not once and for all atonement. There is a difference. Christ did not die twice or more. It is only once. The atonement process is a drawn out one. The Yom Kippur process started in 1844 and this Investigative Judgment has to precede the Executive Judgment that will happen after all saints are safely in heavenly Zion, Heavenly Jerusalem or Heaven.